Don't worry a reduced harvest doesn't mean less wine this holiday season. Texas is the nation's 5th largest win producer, and home to about 400 vineyards on about 3,400 acres across the state. West Texas grape grower Neal Newsome went from grappling with a killing freeze to watching his fruit suffer from the state's worst single-year drought. "You can't win for losing in a year like this. Nothing clicks," said the 57-year-old whose harvest on 115 acres near the New Mexico state line was about a third of the 300 tons he harvested last year. 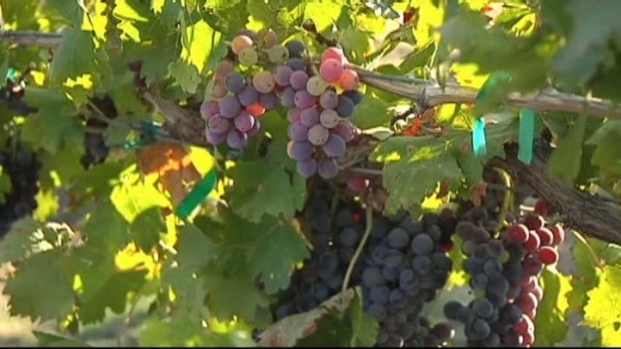 While grape and wine experts say the drought produced better tasting grapes and won't have a big effect on supply, yields across the state were estimated at half of last year's harvest of 8,900 tons. There were fewer grape clusters on vines and fewer and smaller grapes on each cluster, said Ed Hellman, the state's viticulturist with Texas AgriLife Extension Service in Lubbock. 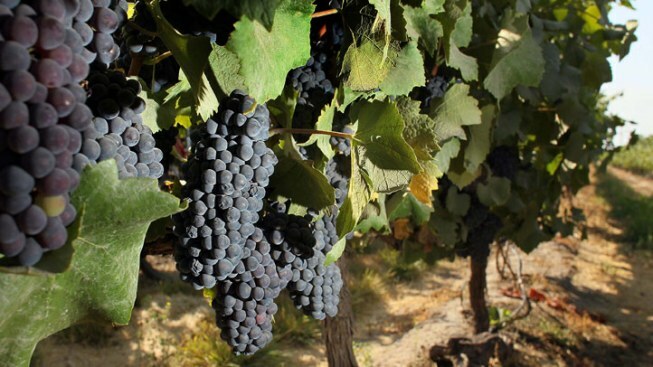 Texas, the nation's fifth-largest wine producer, is enduring its driest single-year on record and in August officials estimated agriculture losses for crops and livestock at $5.2 billion. That figure doesn't include the grape and wine industry, which annually brings $1.7 billion in economic impact to the state. "We don't have hard numbers. We have a lot of people's guesses," Hellman said of this year's yields. "Last year was the high point. Lots of new acres in, and there was plenty of rain. It was bumper crops last year." There are about 400 vineyards on about 3,400 acres across Texas, about two-thirds of that in far West Texas and on the High Plains. Those areas offer low humidity that in turn lowers the chance of fungal diseases. George Cornelius is the man behind The Wine Maker's Toy Store in Carrollton, a store where you can find everything you need to make wine at home. This year harvests at most vineyards also came early because the triple-digit heat caused the grapes to ripen sooner. Grape growers in Texas rely predominantly on precipitation -- the fruit's water needs are small -- but most have irrigation systems used to supplement rainfall. The vines need rain all year, not just during the growing season, which is April through October. Texas' drought began last fall, right at the end of the growing season, Hellman said. 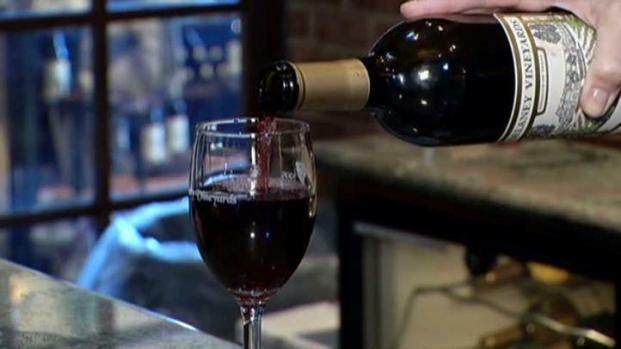 The TABC is going after merchants without Texas permits that sell wine online to Texans. Growers in the western part of the state have always understood watering during dormant months because there's typically less rain in those semiarid and arid areas. In the Hill Country, however, it's "not been on the radar screen to water" from November through March, Hellman said. "There's a heightened awareness now of how important it is not just during the growing season but also during the dormant season," he said. "It's really easy to forget when the vine is dormant that it still needs a certain amount of soil moisture ... (for) the root system." Without winter rains, the grapevine's root system can't expand and the plant's canopy won't grow as the plant ages, said Gary Elliott, president of the Texas Wine and Grape Growers Association and owner of a vineyard and winery in Dripping Springs, near Austin. With so little rain statewide this year, growers who hadn't watered during winter months the past several years really suffered. "It wasn't until this year that the impact hammered home," said Elliott, whose yield this year was 25 percent of the normal 60 tons he harvests. "This can't continue. If we continue to get these dry winters, it gets progressively worse." This year's smaller grapes brought an upside: better taste. The grapes have better color and the chemistry inside benefitted from faster ripening and less time on the vine, Elliott said. "The balance of sugar and acidity was good this year, so that's a very positive thing for wine quality," Hellman said. Newsome said the quality of the grapes won't be forgotten soon. "The winemakers are just giggly about the quality," he said. "That's the only silver lining of this year's crop. The quality is something we'll talk about for years." The reduced harvest won't, however, mean less wine available this holiday season. Wine for sale now comes from grapes harvested before this year. Despite fewer tons produced this year, prices probably won't be affected as most growers negotiate multiyear contracts with vintners. And the wine industry is one that has withstood rough economic times, said Neal Newsome, owner of Newsome Vineyards in Plains, not far from the New Mexico state line. 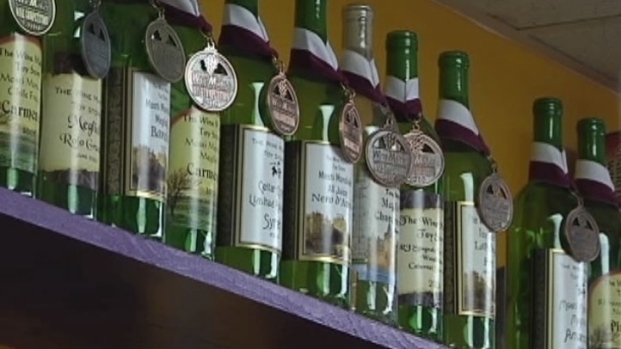 "Fortunately, the wine industry has proved more recession resistant than others," Newsome said. "But, again, it's not bulletproof."